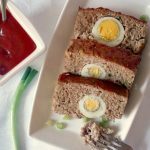 Moist Turkey Meatloaf with hard-boiled eggs, a delicious Easter appetizer that can be enjoyed all year round. Healthy, super easy to make and a big hit with the whole family. I love Spring with its lovely fresh colours, the buzzing and the gorgeous weather, no more grey everywhere. Such an exciting time! 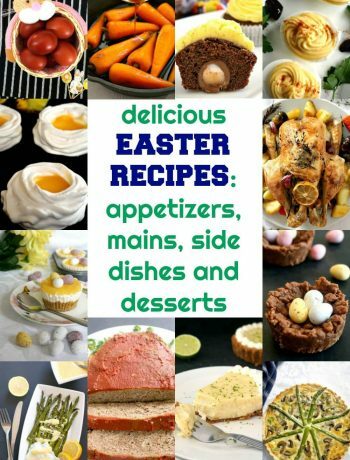 And with Easter fast approaching, we have never been busier in the kitchen getting all that yummy food ready. So much to choose from. Since starters go first, the pressure is even higher as you want to impress right from the begining. And what a better choice than a lovely meatloaf. Once on the table, it will be gone in seconds, there won’t even be crumbs left. Just pop it in the fridge beforehand, as it tastes a lot better cold and it feels even lighter. Turkey is a lean and healthy meat anyway, so this my version of meatloaf is nowhere near as dense and heavy as a combination of different cuts of other meat. I know most people prefer lamb for Easter, but as you know, I have never ever even tried lamb, so turkey it is for me. Or, for a vegetarian version, you can use dried soy granules or quorn pieces which can be soaked in hot water, the result will be as delicious. Another great vegetarian alternative can be mushrooms, they are the perfect substitute for meat, and they are highly nutritious too. 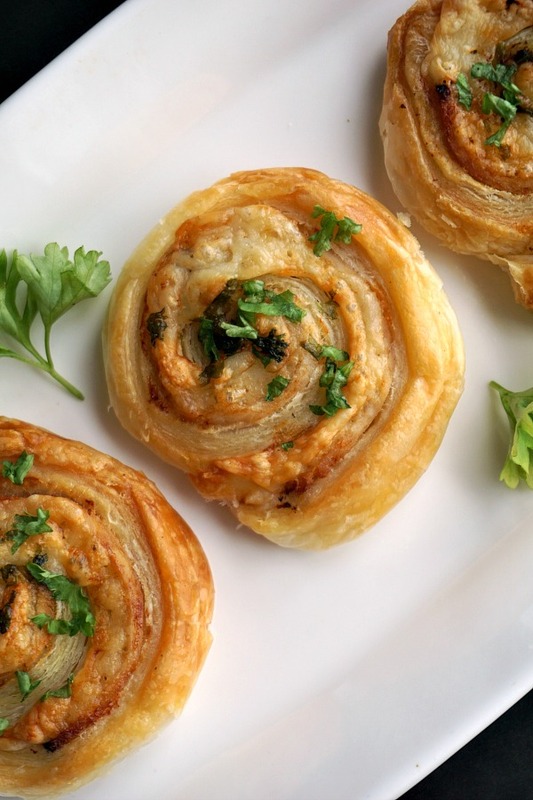 When one needs a great appetizer, there is so much choice out there. 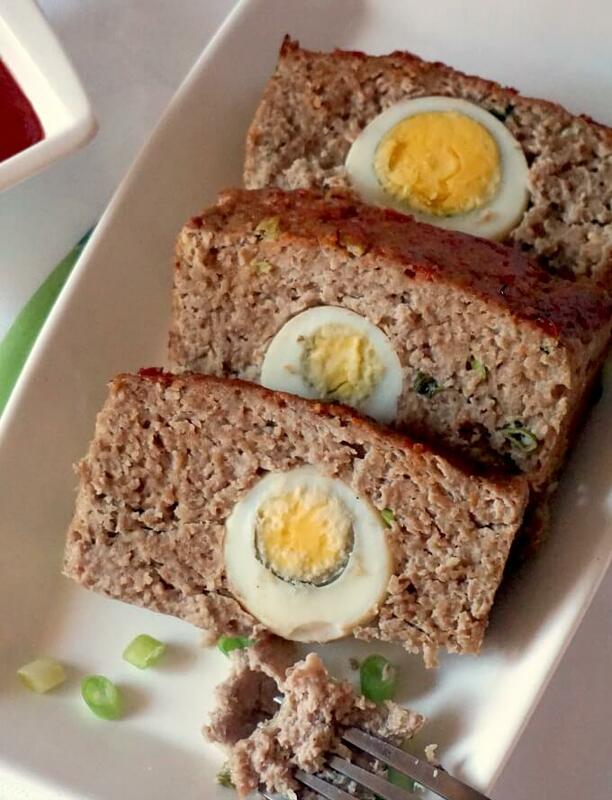 How do you make a moist turkey meatloaf with hard boiled eggs? The secret to a moist meatloaf lies in the ingredients we use. Plus, baking it at the right temperature also helps achieving that texture we like. In a large bowl, mix together the ground turkey, breadcrumbs, milk, spring onions, seasoning, soy sauce and the raw egg. Add half of it to a loaf tin, arrange the cooked eggs in a line, then cover them up with the remaining meat. To make the sauce, mix the ketchup with soy sauce and mustard, and spread it over the meatloaf. The result will be a super moist turkey meatloaf that will make you lick your fingers clean. It’s big on flavours, low in carbs, and high in protein. How long do you cook turkey meatloaf at 375 degrees Fahrenheit (190 Celsius)? In obviously depends on the amount of meat used. I used about 2 lbs of ground turkey, and I baked it in the oven for about 40 minutes. Depending on your oven, you might need to leave it cook for up to 50 minutes max. It’s a beautifully cooked meatloaf, and I absolutely love it. It’s great for every occasion, and it usually goes well with all the family. If you’ve liked the MOIST TURKEY MEATLOAF or any other recipe on the blog then don’t forget to rate the recipe and let me know how you got on in the comments below, I love hearing from you! You can also FOLLOW ME on FACEBOOK, INSTAGRAM and PINTEREST to see more delicious food and what I’m getting up to. 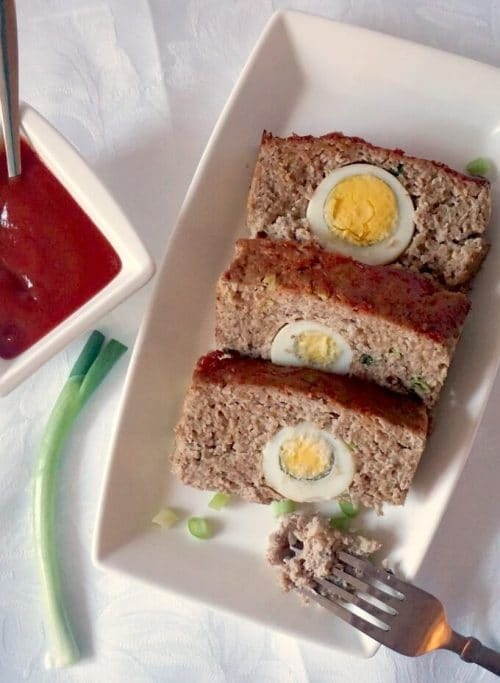 Moist Turkey Meatloaf stuffed with hard-boiled eggs, a delicious Easter appetizer that can be enjoyed all year round. 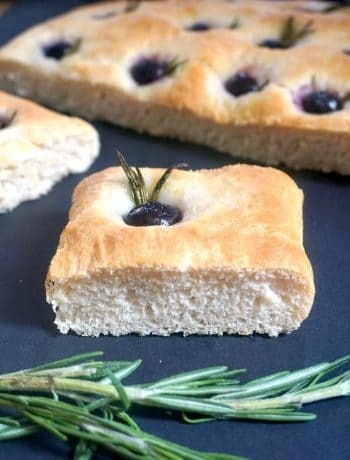 Healthy, super easy to make and a big hit with the whole family. Chop the spring onions finely and mix them well with the ground turkey, salt, pepper, uncooked egg, milk, breadcrumbs and one tablespoon of soy sauce. In a loaf tin, spread a tin layer of the turkey mixture, arrange the hard-boiled eggs, then use up the remaining turkey, making sure you fill in the gaps between the eggs. 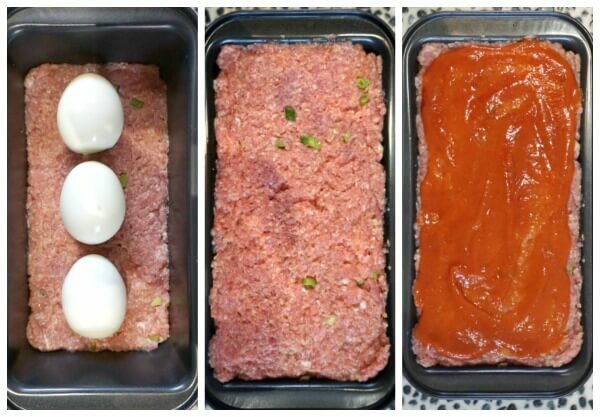 Mix the ketchup with the soy sauce and mustard, then brush it on top of the turkey meatloaf. Bake in the pre-heated oven at 190 degrees Celsius (375 Fahrenheit) for 40-50 minutes, or until the meat is cooked through and pale brownish. If you'd like to see the ingredients listed in cups and ounces, please check the US Customary Link (under the list of ingredients).